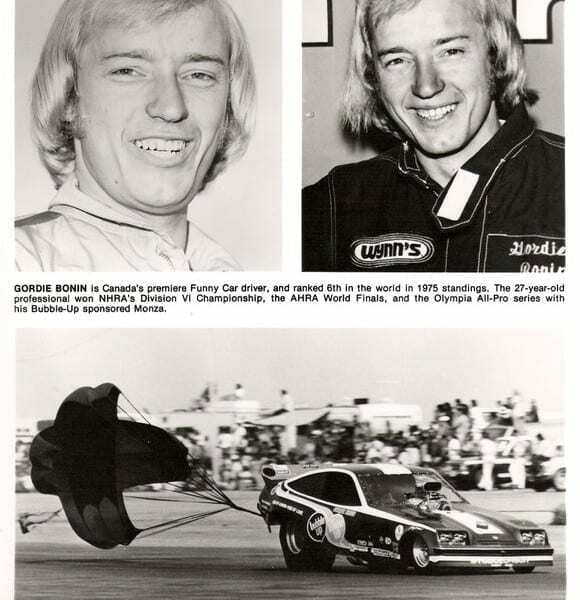 Gordie Bonin was one of drag racing’s most successful Funny Car drivers, with a 9-3 record in final-round appearances at major races. Bonin was born in Prince Albert, SK and grew up in Red Deer, AB, allowing him to frequently attend drag races in Edmonton and Calgary. 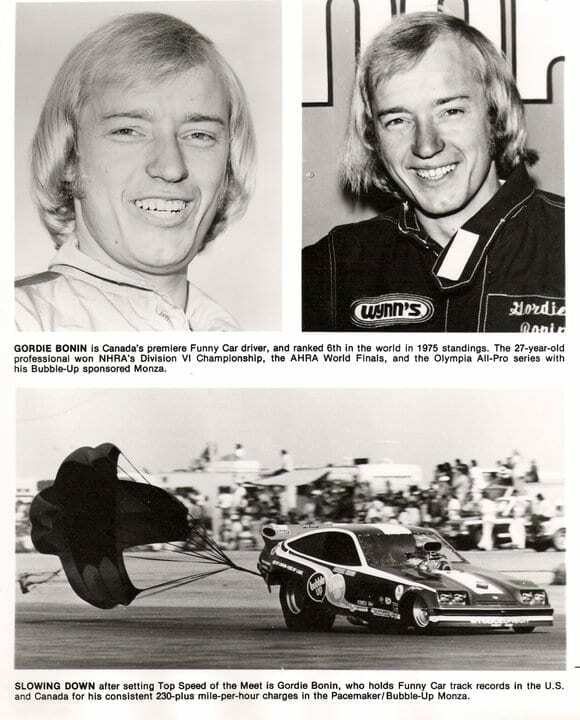 Bonin began professional drag racing as the driver of the Pacemaker Vega Funny Car in 1972 with fellow racers Ron Hodgson and Gordon Jenner. He went on to compete with them for numerous years. 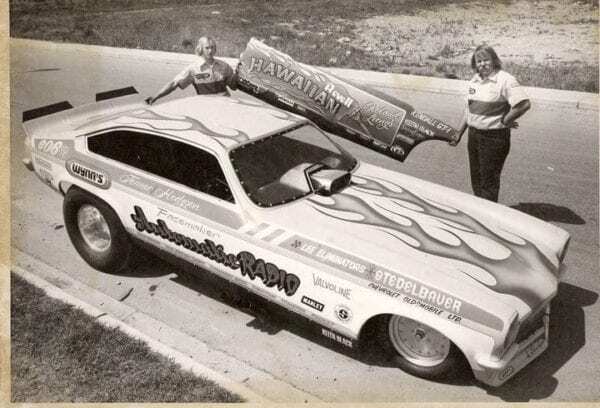 Known for their Bubble Up sponsored Funny Cars during the 1979 season, the team placed as runner-up at the 1972 Nationals, and eventually won the National title in 1979. 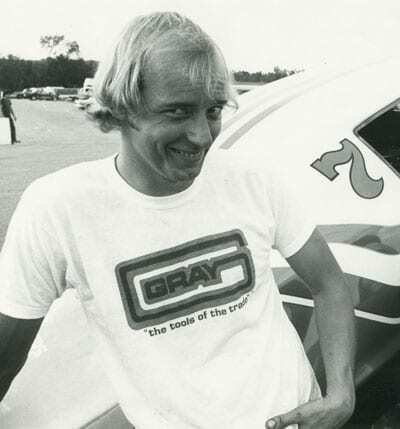 Bonin went on to win the NHRA Division Six Funny Car title every year from 1975 to 1980. Bonin’s nickname, “240 Gordie” was inspired by his ability to consistently push his car beyond the 240 mph barrier. In 1979, Bonin became the fourth member of the NHRA Cragar 5 Second Club when he flew down the quarter mile track in 5.97 seconds. Another iconic moment was his cameo in the movie Fast Company, in which Bonin drove his car through a garage door, paused at a red light and sped off when the light turned green. 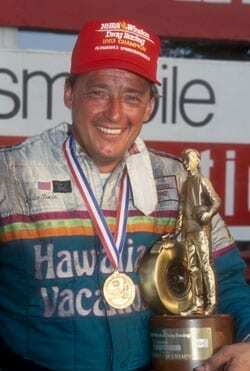 Bonin was the NHRA Marketing Director and Marketing Services Manager from 1983 to 1989. 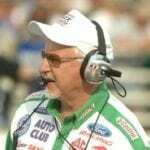 He went back to racing with Hodgson and Jenner, qualifying for the Seattle semifinals in 1991. Bonin also got a second-time seat with Roland Leong’s Hawaiian in 1993. From 1994 to 1995 he drove for Candies & Hughes. Bonin won the Gaternationals three times, and the Ontario Finals twice. 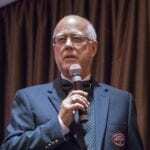 He was inducted into the Canadian Motorsports Hall of Fame in 2012.